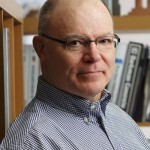 Michael, the principal of Vision in Form Architecture, has 40 years’ experience in architectural design. He has assisted clients located from Grand Falls, Newfoundland to Prince Rupert, British Columbia, and into Kansas and North Dakota in the United States. In addition to design capability, Michael brings to his clients an extensive knowledge of, and ability to utilize, processes of community consultation and inclusion, adult education principles, and group dynamics. He has served as Sessional Lecturer, Guest Design Lecturer and Design Jury member, Faculty of Architecture, University of Manitoba, and conducted the Programme Preparation Course for pre-Thesis/Comprehensive students, Department of Architecture, University of Manitoba for four years. Over the past 30 years, Vison in Form Architecture has built a network of highly experienced engineers and building envelop specialists, sustainability experts, interior design consultants, costing consultants, lighting designers, acousticians and artists who have leant their expertise to our design work. For each new project we assemble a team of professionals that we believe will be best suited to the challenge and opportunity.